Instagram is the perfect medium to showcase one's love of watches. From regular folks to the super rich, a wrist shot is easy to take once a day and there seems to be an entire crew of people showing their timepieces on the daily. 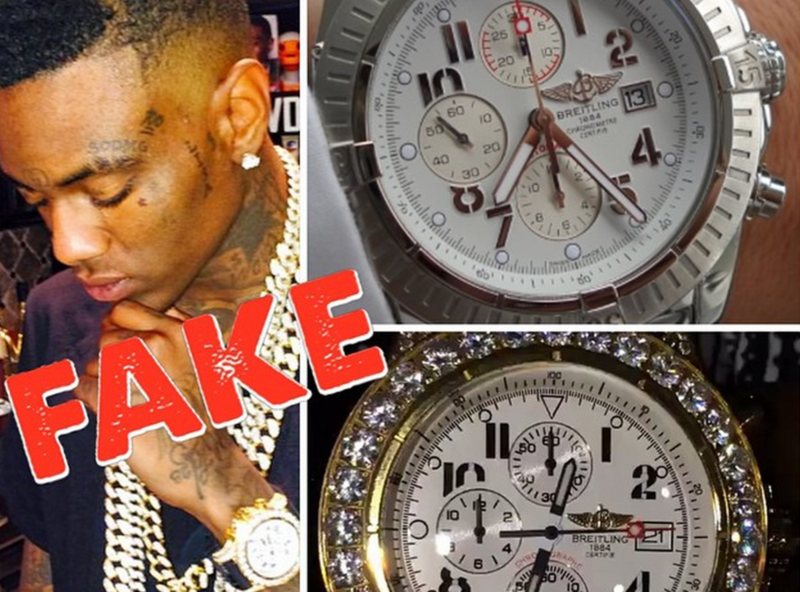 In addition, there are some wrist police who are in the business of busting rappers posting fakes! With his own website devoted to watches and luxury living, and his Instagram follower count closing in on one million, Watch Anish is one of the biggest and best players in this space. His pictures are the ultimate lavish experience. He mainly posts watches but also includes cars, clothes and other fun things from time to time. Self-described as "The Most Important Collection Of Watches In The World", Marcus Margulies took over his father's watch business and now stocks some of the rarest and most expensive timepieces on the planet. This isn't just about new super-complications either, his family has had alliances with Audermas Piguet and others, keeping hyper rare vintage watches on hand as well. His instagram is full of truly one-of-a-kind, multimillion dollar pieces you may never get the chance to see in real life. After finding a huge following on Instagram, with lots of viewers asking where to get some of the exotic pieces they post, Daily Watch started an online store to sell some of the beauties they display daily. It also seems they are somehow affiliated with Watch Anish (above) and post an array of incredible timepieces with stunning photography, unique props and awesome settings. Bexsonn is a great blog that focuses on two of my favorite things: Watches and Whiskey. With stunning pics almost daily, and exposure to behind the scenes horology, Bexsonn is definitely worth a follow. I especially like their interest in watches from the middle of the last century where you can see a lot of rare Audemars Piguet and Girard-Pirregaux. ...except he mostly posts fake ones that are trying to be passed off as real by celebrities who might not be ballin' as hard as they'd like us to think. He's the hero Gotham deserves!